The big browns and holdover rainbows have moved toward the surface and into shallow water. This is the best time of the year to target these trophy fish. These larger than average fish are predators, not prey. They get to a greater size by ambushing and feeding on smaller fish. 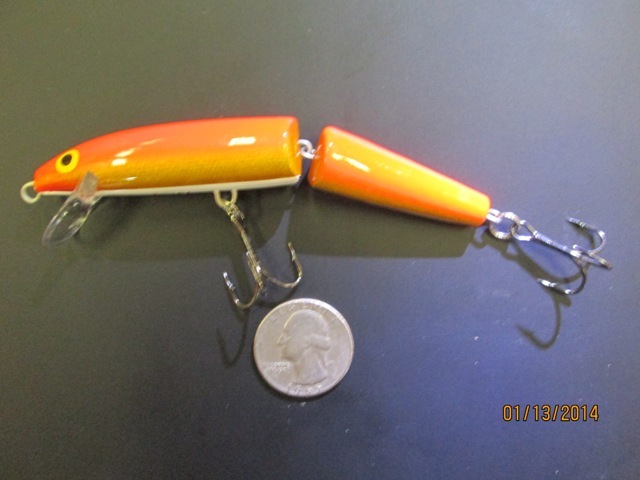 Jointed plugs work so well because the segmented bait has a very lifelike swimming action that will fool these wise fish. 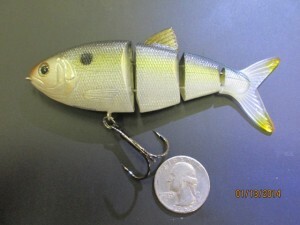 Rapala JSR-7 SD is a great shad patterned jointed plug. It takes a different approach to target these fish. To keep it simple, it is best to use baits that resemble what trophy fish naturally feed on. The most common prey fish for browns and rainbows is shad. The shad will be anywhere from 2-5″ long depending on their age. 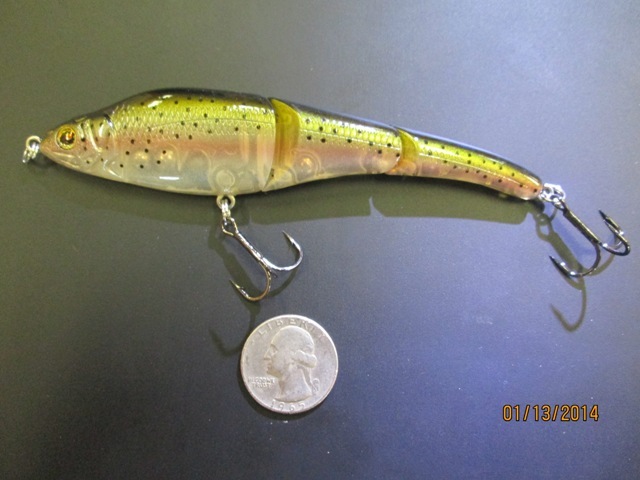 Spro BBZ-1 Shad best resembles the larger 5″ shad. It takes energy for the fish to feed, so large baits will draw big fish from a longer distance. The bigger the bait the bigger the fish does apply sometimes. 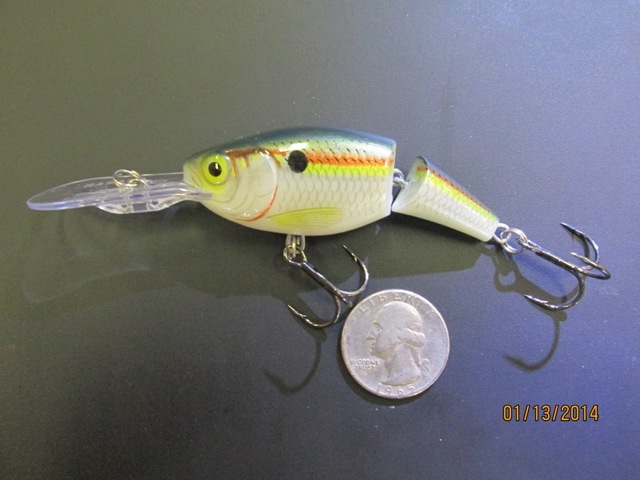 Try trolling jointed shad patterned baits to coax these trophies into biting. Another fish that ends up as prey for large brown trout is small and planted rainbow trout. 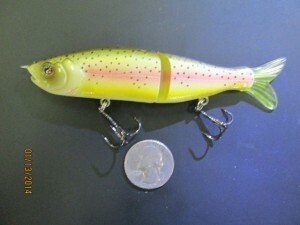 Sebile Magic Swimmer 125 RT is a rainbow trout patterned jointed plug. River2Sea S-Waver 120S Light Trout was designed as a casting lure primarily used for bass. 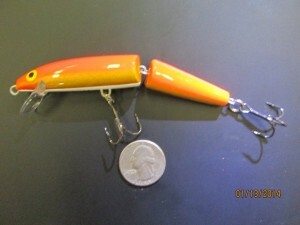 This is an excellent bait to be trolled and has a very wide side to side swimming action. Try using bright colored baits to aggravate the fish and trigger a reaction strike. 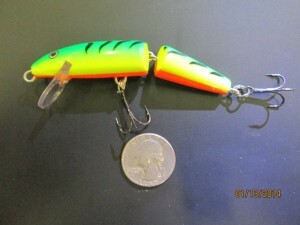 Rapala J-9 FT is responsible for catching many big fish each year. The fire tiger color is very bold and will draw strikes from a distance. Rapala J-11 GFR is another bright color the fish can’t resist. We do encourage catch and release for the brown trout as The Department of Fish and Game will no longer be planting them. Carefully measure, weigh and photograph trophy fish and send us pictures and information. Try trolling a jointed plug on your next outing and be ready to land a fish of a lifetime.